Have you realized that the divide between 'Us' and 'Them' has grown steadily in Indian politics? Do you sometimes wonder whether it will be repaired at all in the near future? Do you ever pause to reflect why emotions spill on the streets and why democratic institutions in India have become dysfunctional? Have you thought about why we get hurt easily and how this gets reflected in everyday politics? India after Modi attempts to address these questions through an analysis of events like Award Wapsi, demonetization, the crisis in JNU and higher education, and electoral outcomes, including in the states of Bihar, Delhi and Uttar Pradesh. 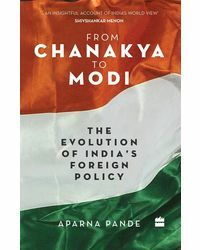 Through this collection of essays, Ajay Gudavarthy focuses exclusively on Indian democracy after Narendra Modi took over as the prime minister in 2014. 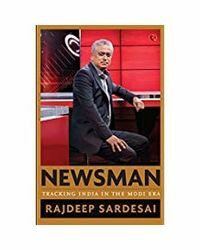 He looks at the politics that India has been witnessing since then and addresses emerging issues in Indian democracy, including that of women's participation, new urban spaces, and the role of youth. Have you realized that the divide between 'Us' and 'Them' has grown steadily in Indian politics? Do you sometimes wonder whether it will be repaired at all in the near future? Do you ever pause to reflect why emotions spill on the streets and why democratic institutions in India have become dysfunctional? Have you thought about why we get hurt easily and how this gets reflected in everyday politics? India after Modi attempts to address these questions through an analysis of events like Award Wapsi, demonetization, the crisis in JNU and higher education, and electoral outcomes, including in the states of Bihar, Delhi and Uttar Pradesh. 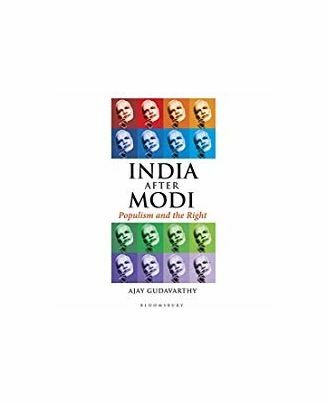 Through this collection of essays, Ajay Gudavarthy focuses exclusively on Indian democracy after Narendra Modi took over as the prime minister in 2014. 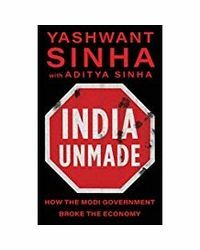 He looks at the politics that India has been witnessing since then and addresses emerging issues in Indian democracy, including that of women's participation, new urban spaces, and the role of youth.